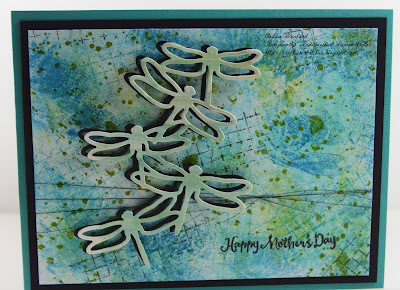 Hope you are not tired of the Dragonfly set yet. I have another one to show you. 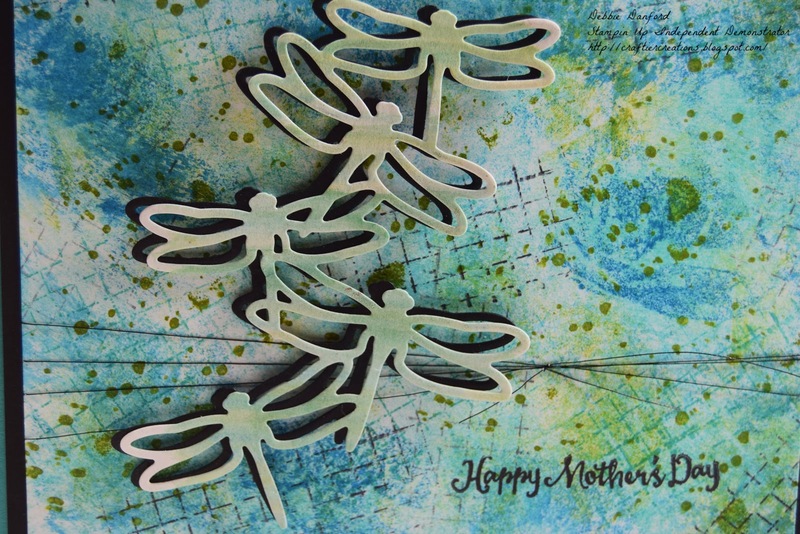 Remember on Thursday's post I said I would show you what to do with the Dragonfly we cut from the water color background. So, for the background I used Bermuda Bay, So Saffron, & Old Olive & a baby wipe. Then with the grid lines from the Timeless Texture randomly stamp with Basic Black. 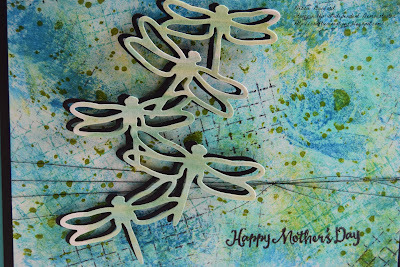 Die Cut the Dragonflies out of the center of the Basic Black layer & glue Watercolor Dragonflies on top of one another, I offset mine just a little. Attach with Dimensionals. Stamp Sentiment & attach Black Metallic Thread. 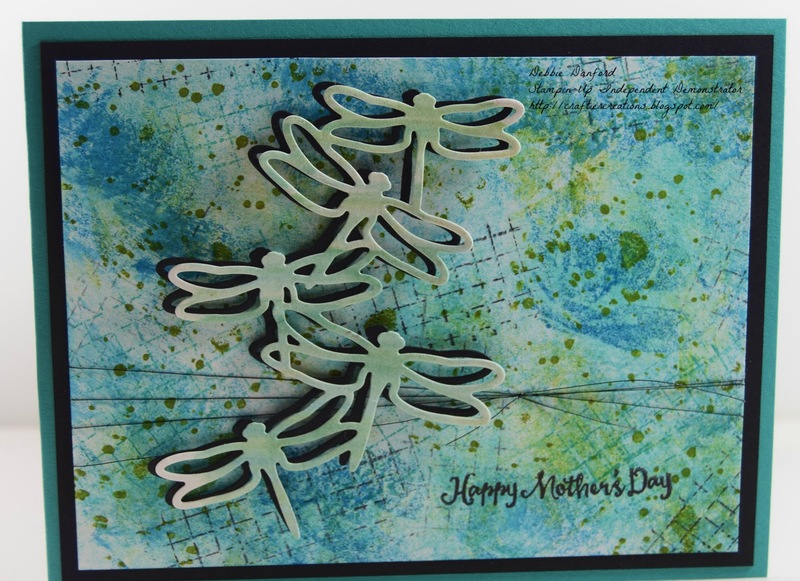 I added Wink of Stella on top the Dragonflies.